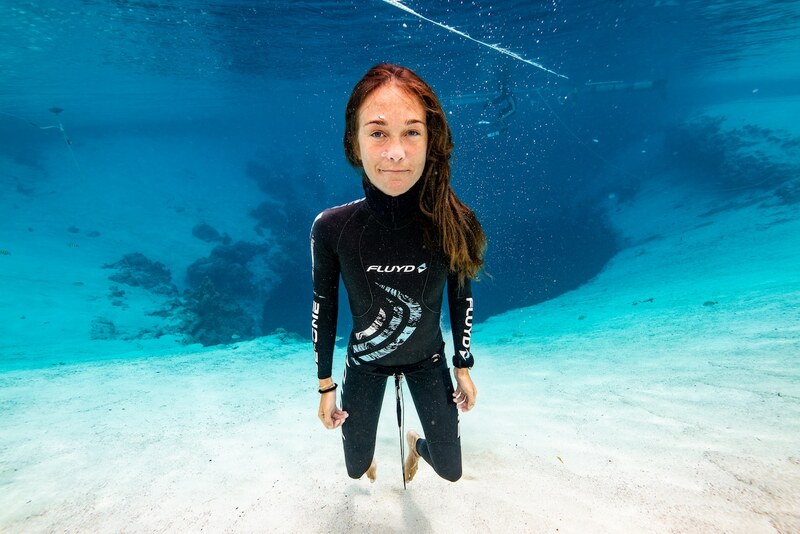 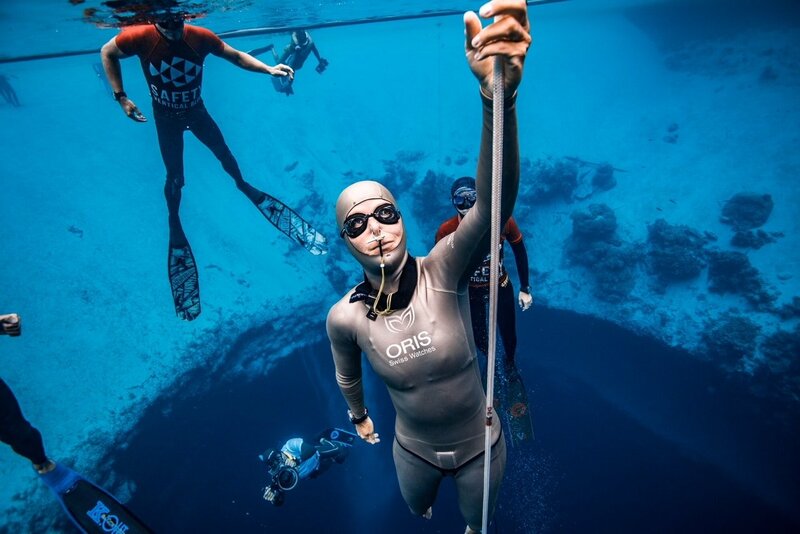 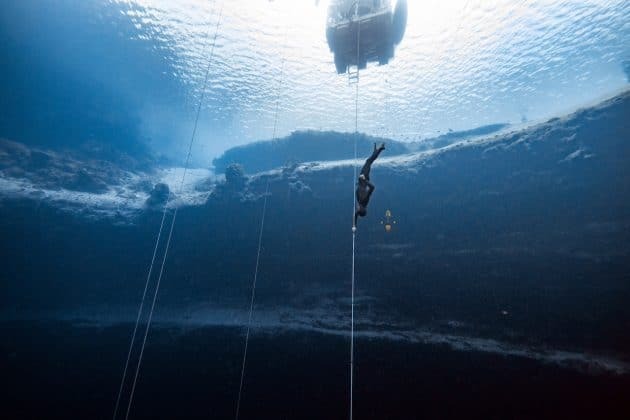 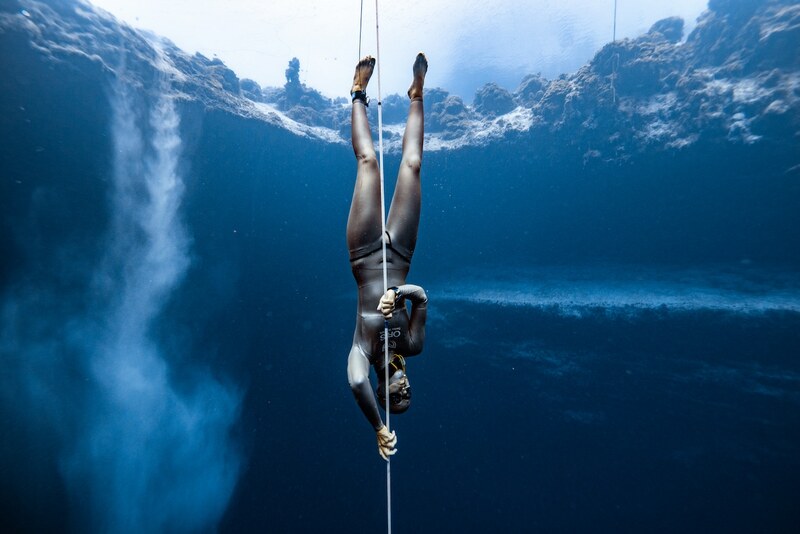 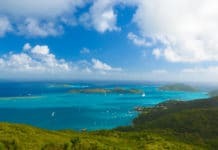 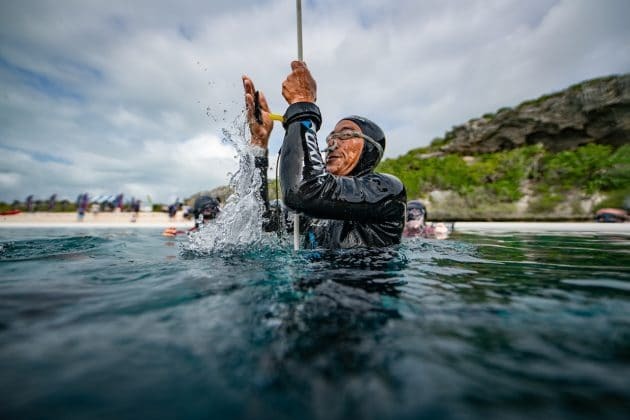 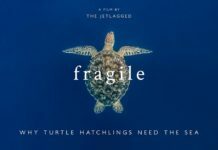 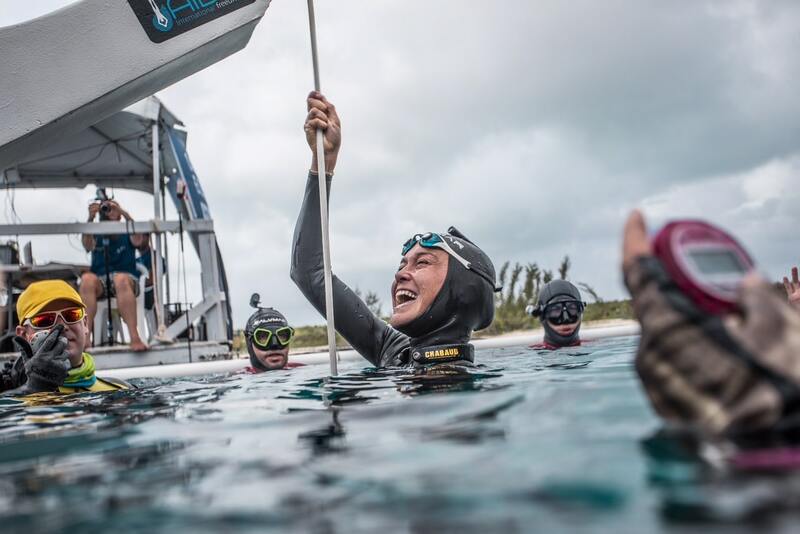 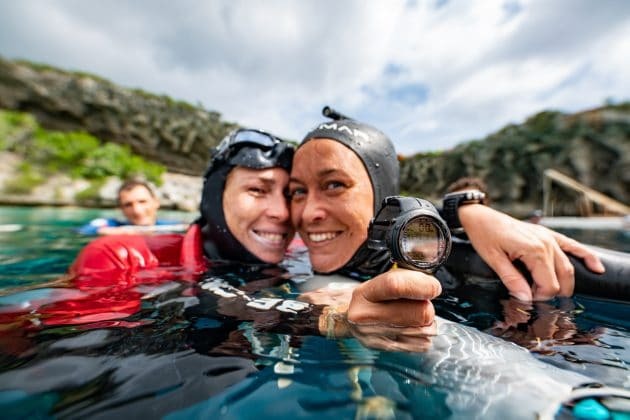  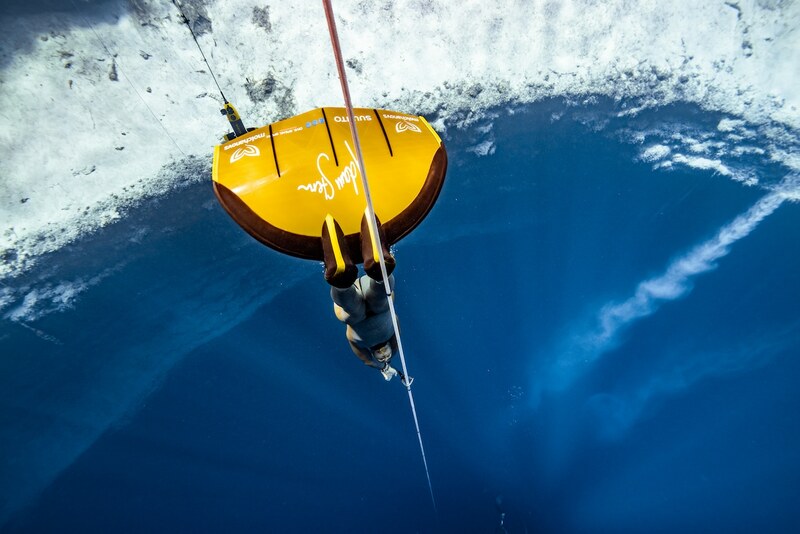 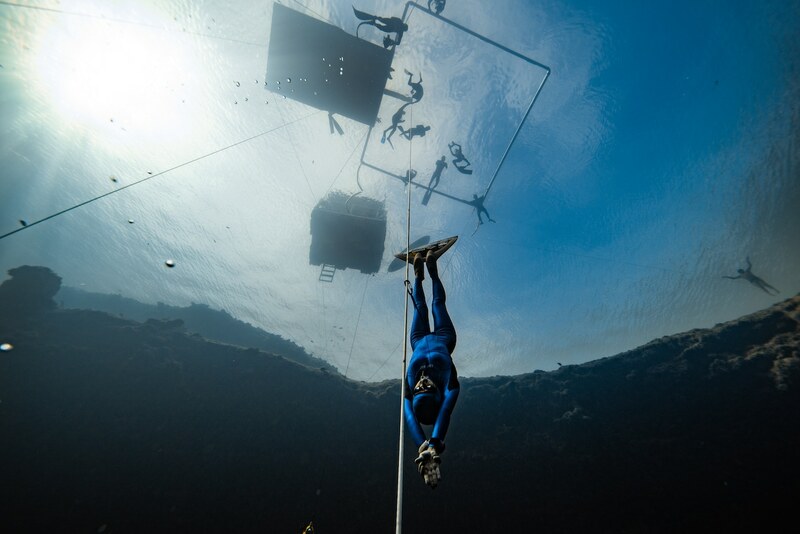 The second Act of OriginECN Vertical Blue had drawn to a close on Sunday as the athletes took to the waters of Deans Blue Hole in the Bahamas. 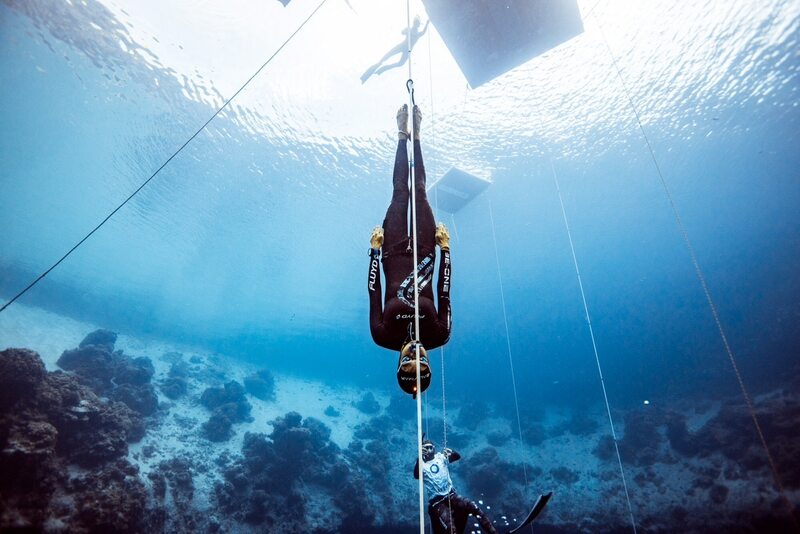 The day opened with a great National Record performance by Gus Kreivenas (Lithuania) who did a clean 94m Free Immersion (FIM) dive. It seemed numerous athletes were too eager to get going as three managed to attract penalties for starting their dives too early. 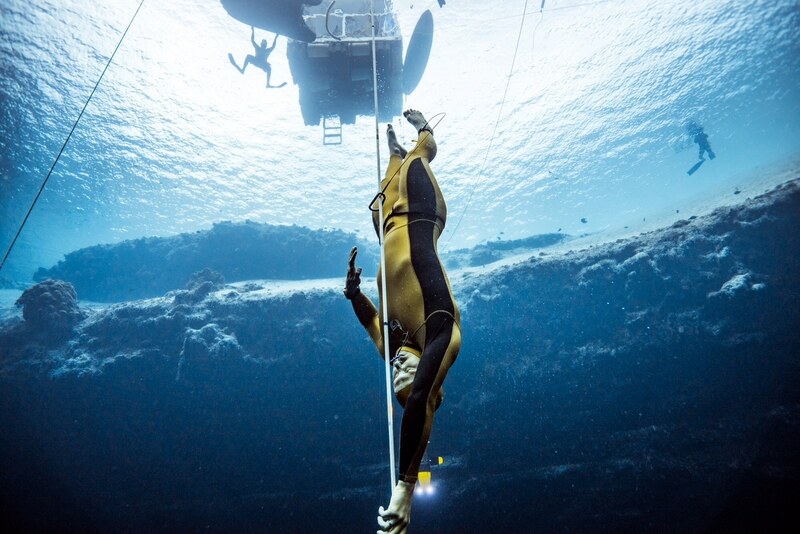 The main event for the day was two World Record attempts by Alessia Zecchini (Italy) going for the Constant Weight No-Fins (CNF) record with a 73m dive, and 19x World Record holder (and competition organizer/host) William Trubridge (New Zealand) who was going for the Free Immersion (FIM) record at 125m. 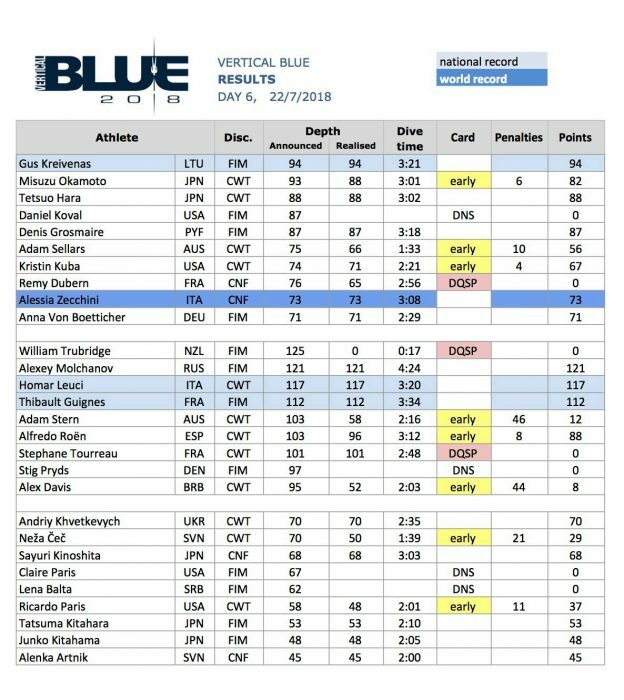 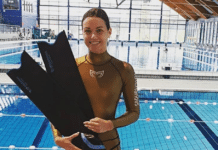 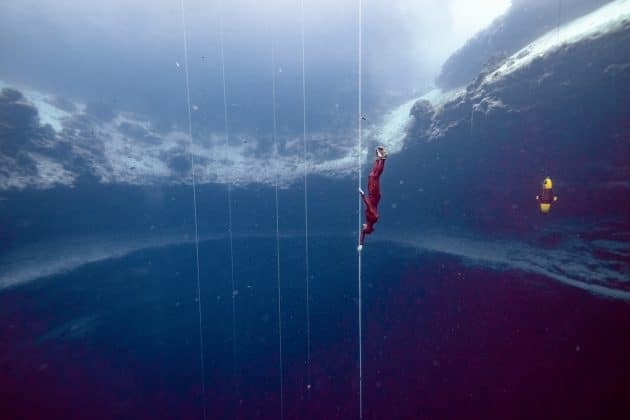 Zecchini went first with a lovely clean dive to 73m which extended the World Record of 72m, held by Sayuri Kinoshita (Japan), who set it during the Vertical Blue competition in 2016. 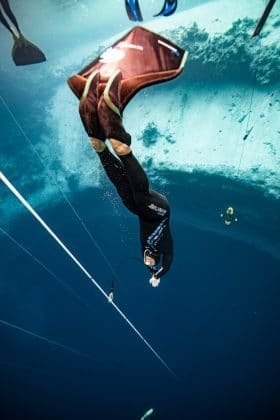 The dive was dedicated to the memory of Stephen Keenan, the lead safety diver for many competitions including Vertical Blue, who died last year whilst on a training dive with Zecchini. Trubridge was then up to extend his current World Record by 1m. 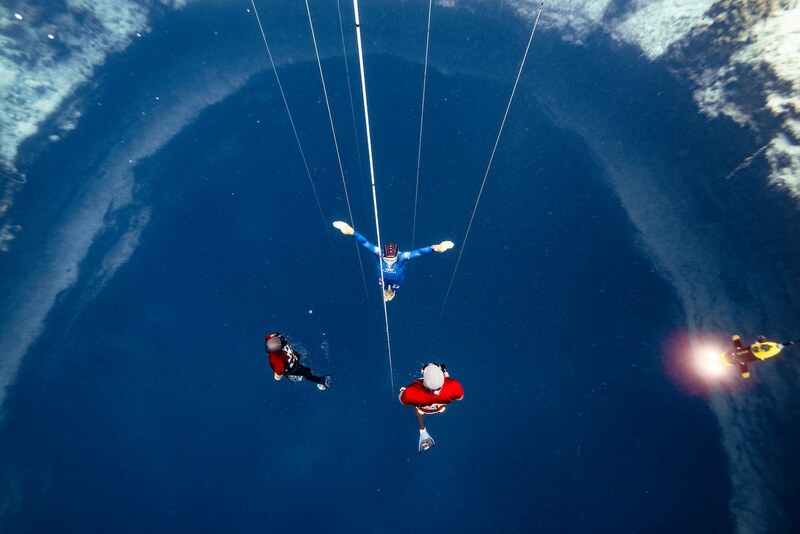 The tension was clearly in the air as he completed with breathe-up and started his descent. Within moments he had turned back to the surface much to the confusion of the spectators onsite and online. It seems that he had lost his mouthfill, a technique advanced divers used to retain more air for equalization and decided to abort the dive. 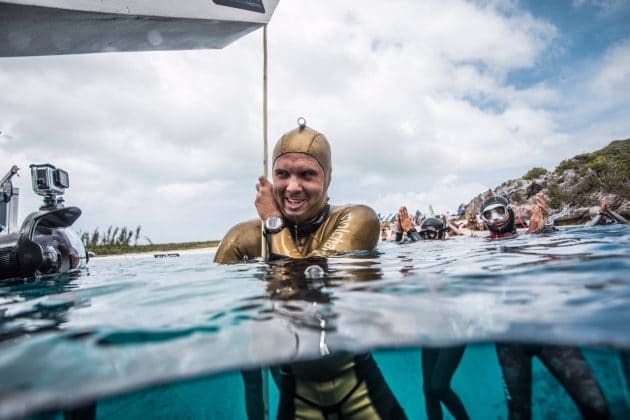 Since he didn’t complete the surface protocol on surfacing – obviously deciding the points weren’t worth it – he officially was given a red card and the dive disqualified.